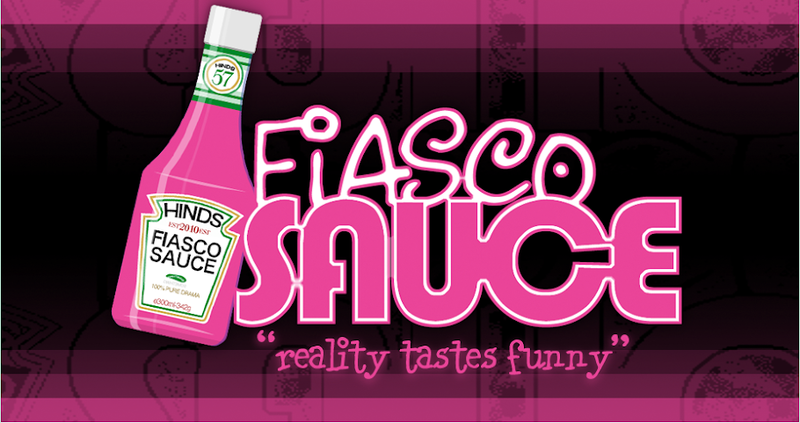 Fiasco Sauce: Jersey Shore 2011 "Fist Pumps, Push Ups and Chapstick"
Jersey Shore 2011 "Fist Pumps, Push Ups and Chapstick"
Anyway, it's my last season to blog about them, so I'll do what I promised myself. Finish it. In a continuation from last episode (where Mike fought the wall ... and the wall won), Mike is feeling sorry for himself and even sheds a tear on his own behalf. While the rest of the gang goes about their daily business, Mike pouts enough that Ronnie finally feels sorry for him. After a few hugs and kisses from Ron (OK, just the hugs) ... Mike starts to come around. The drama with Snooki's boyfriend, Jionni, also continues. He seems a little jealous, but we all know he has probably seen a few seasons of Snooki's escapades so can you blame him? The guys tell Snooki to break it off, but she doesn't want to end this love affair just yet. The girls are at a club, and for some reason, can't get along with other girls! There is arguing, yelling, a little pushing and finally some girl pours a drink on Snooki's head and she goes after her ... and in the midst of the throwdown ... Snooki and Deena discover they are pulling each other's hair. Enough already. All in all ... boring episode. We'll see what's next.